Central govt. will contribute 50% of the subscriber’s contribution or Rs. 1000 per annum (whichever is lower) for 5 years. Govt. contribution is restricted only for those people who are non-income tax payers and are also not covered under Statutory Social Security Scheme. All the bank account holders can apply for this APY Scheme and get guaranteed minimum pension from govt. of India. 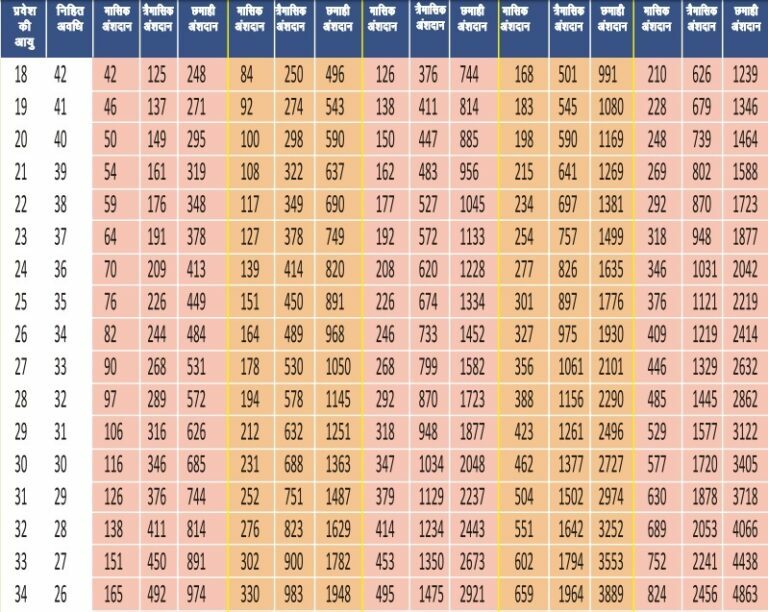 All the citizens who have joined National Pension Scheme (NPS) are eligible for this APY Scheme. This social security scheme was launched in June 2015. Pension Fund Regulatory and Development Authority (PFRDA) administers APY through NPS architecture. Here enter your Aadhaar Number and generate OTP on your registered mobile number. After entering OTP, click “Continue” button. 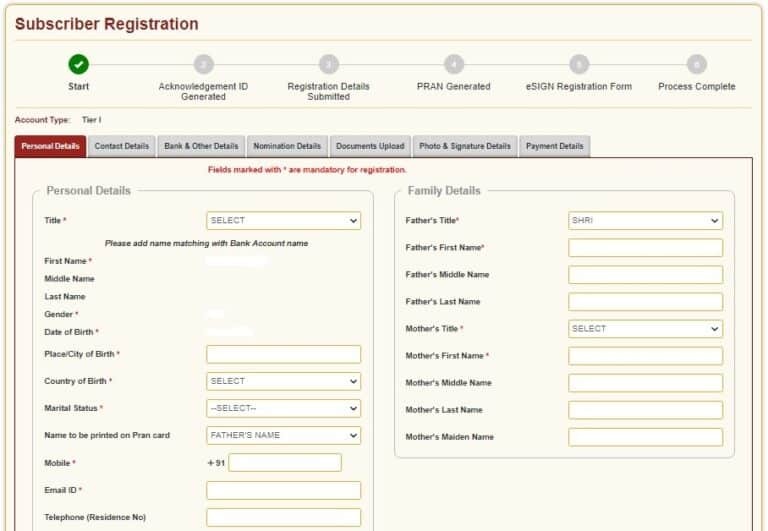 Now provide personal details, family details and generate acknowledgement number. After acknowledgement Id is generated, enter bank / branch details & account number for bank verification. 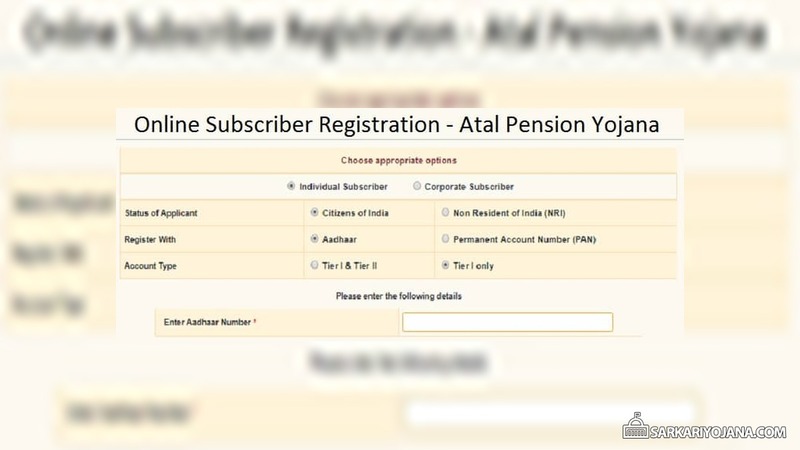 Next fill the pension amount, contribution frequency, nominee and upload the supporting documents and make payment to complete the atal pension yojana online registration process. Applicants must lie between 18 to 40 years of age. The minimum contribution period for APY is 20 years after which govt. of India will provide guaranteed minimum pension. Aadhaar and Mobile number are essentially recommended documents for KYC of beneficiary, spouse and nominee. Moreover for address proof candidates can submit ration card or bank passbook. All the candidates can opt for monthly pension between Rs. 1000 to Rs. 5000 and ensure regular monthly contribution. In addition to this, people can also opt to increase or decrease their pension amount once in an year (in the month of April). Moreover, GoI will link this scheme with PM Jan Dhan Yojana Scheme to automatically deduct contribution from bank account. People can enter APY Scheme at any age between 18 to 40 years and safeguard their future through filling Atal Pension Yojana Online Form.